Planning to stay all day? Pack snacks accordingly. Take a sauce vote for pasta night (red sauce vs. pesto), toss a salad and dinner's pretty much done. 5 miles away from Camp Creek Golf Club. Conveniently located near both Panama City Beach and Destin, the beachfront Dunes of Seagrove Condominiums by Wyndham Vacation Rentals provides the free rental bikes, beach chairs, and umbrellas. While the beach is the star of the show here, the seventy-five-hundred square-foot lagoon pool and the upper pool are an impressive opening act. Hit your limit on lounging? Ask your crew to save your seat while you head to the fitness center or play a game at the lighted tennis court. When it’s time for lunch, take advantage of the bbq grills for a family cookout. Now the only question is: burgers or hot dogs? After lunch, grab your sunscreen, buckets, and shovels and take the on-site boardwalk to the beach for some fun in the sun. Once the sun starts making its westward descent, head back to your condo and try to remember what your plan was for dinner. Two- to three-bedroom condos are air-conditioned and sleep six to eight guests. The local Publix grocery store has everything you need to stock your full kitchen. Surprise the kids with pizza night and let the little ones build their own pizzas, the messier, the better! Don’t worry; you’ll have an in-suite washer/dryer. Enjoy the pizzas while you catch a Friends rerun on the cable TV. At the end of the night, gather the family on the private balcony and count the shades of pink in the sky while wondering if tomorrow would be a good day to try snorkeling. Ask the front desk about options nearby. Golfers in your party will definitely want to check out Camp Creek Golf Club. This eighteen-hole, par 72 course was designed by Tom Fazio and features a driving range. Coconut Creek Family Fun Park, located in nearby Panama City Beach, features a gran maze that is the size of a football field that allows you to test your navigational skills. The route changes frequently so even if you’ve been there before, there’s a good chance it’ll be a new adventure. There are two eighteen-hole mini golf courses, perfect for any skill level. Challenge the kids to a game or two. 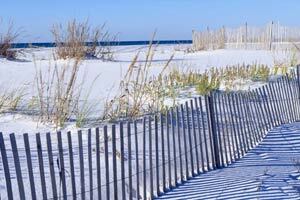 Silver Sands Premium Outlets is located in Destin and offers affordable shopping and dining. Pick up your latest read at Book Warehouse. Treat yourself to a new handbag from Kate Spade, Michael Kors, or Coach. Let the kids run wild in the Disney Store. American Eagle, Banana Republic, and Calvin Klein feature apparel. Hungry? There’s Cheeseburger in Paradise, Ciao Bella Pizza, and Carrabba’s Italian Grill.